If you grow up in a world where wrinkles are practically illegal, going bald is cause for a mental breakdown, and women over size zero are encouraged to shoot themselves (immediately), what the hell do you do if you're, gasp ... DISABLED? Whatever body you're born into, the pressure to be normal is everywhere. But have you ever met a normal person? What do they look like? Where do they live? What do they eat for breakfast? And what the **** does normal mean anyway? 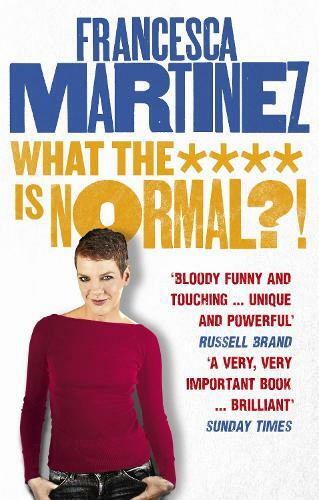 This is the award-winning wobbly comedian Francesca Martinez's funny, personal, and universal story of how she learned to stick two shaky fingers up to the crazy expectations of a world obsessed with being `normal'.